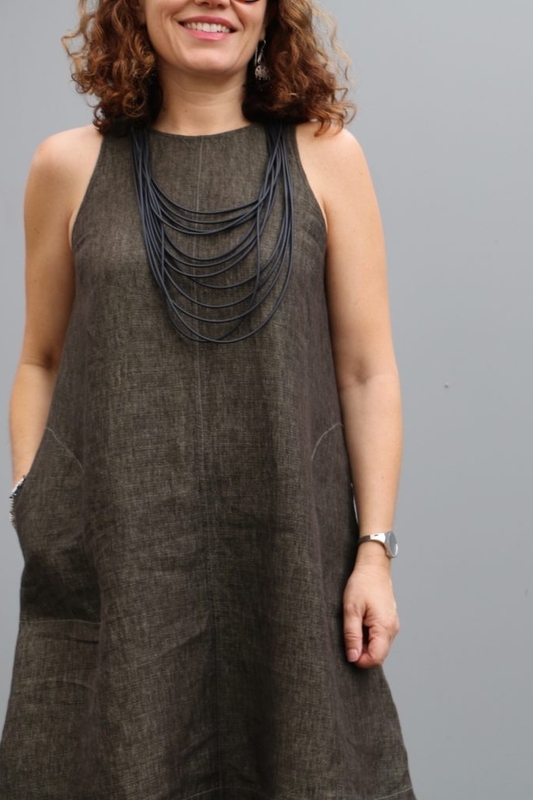 It's a sleeveless classic, which features a high neckline, cut away armholes, bust darts, side pockets, centre front and back seams, and back yoke with neck opening. The gently flared hem suits many body types and is finished with a facing and an optional fringe edging. This perfect style for all seasons that comes with two length options. We love the frayed hem, don't you!